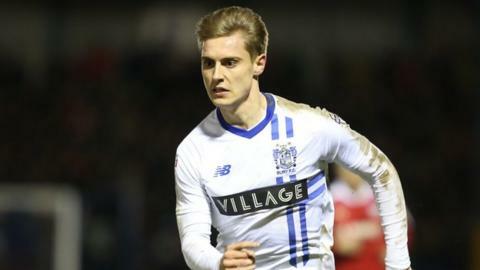 Mansfield have signed striker Danny Rose from Bury for an undisclosed fee. The 22-year-old joined the Shakers in August 2014, following a brief loan spell at the club, and went on to make 81 appearances in all competitions. Rose said: "[Moving to Mansfield] means playing games regularly, scoring a few goals, contributing to the team and hopefully a push towards promotion. "It's a good club and I'm delighted to be here. Hopefully it will be a successful time here." Rose scored five goals for the League One side last season, with his last league goals coming in the 4-3 victory over Blackpool in October. The fee may be enhanced dependent on goals scored, promotion and a future sell-on clause provision.